If all the UK’s smokers are deciding that it’s a good time to quit smoking, and as they stop, the government will lose over £12 billion in annual tobacco duty. Alcohol is harmful for its users and also raises billions annually in tax duty. 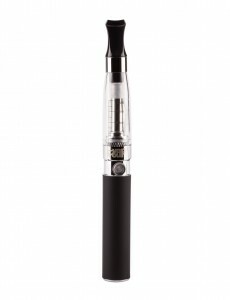 Electronic cigarette safety has been questioned in recent press reports. Less than 200 people die annually in work related accidents and yet we have comprehensive health and safety laws to protect them. Meanwhile, over 100,000 people die from smoking related disease and the government accepts those deaths because of the revenues they generate. If all smokers quit tomorrow, the government would need to find £12.1 billion a year from somewhere else. It seems that the government don’t mind dangerous products as long as they make a profit from them. Regulation will only come for one reason, to protect the government’s income streams by being able to tax e-liquid. Regulation will lead to price rises as the large conglomerates dominate the industry. Will this be in the public interest, and for the protection of smokers? Regulation will allow the UK government to recover lost tobacco duty by taxing e-liquid. There are two industries that will potentially be affected if electronic cigarette use continues to grow, the tobacco industry and the smoking cessation industry. Even though nicotine gum and patches deliver nicotine, many smokers prefer the satisfying nicotine hit that they receive from inhaling an electronic cigarette or vaporizer. While the tobacco industry want to prevent e-cigarettes from taking their customers, it is difficult for them to argue against them on health grounds. The campaign against e-cigarettes is believed to be being driven by sections of the smoking cessation industry, maybe even being quietly supported by some tobacco companies. How hard will the government really try to push healthier alternatives to smoking when it is s reliant on the income that tobacco duty provides? All the ingredients necessary to make e-liquid are readily available so anyone can easily make their own e-juice without having to buy regulated e-liquid that has duty on it. Just as we were warned about the dangers of smoking counterfeit cigarettes, manufacturers of e-liquid will no doubt try to “protect” the public from making their own. Lots of smokers are more than happy to try smoking a cheaper cigarette if it tastes OK. We will soon know what regulation will be passed to control electronic cigarettes. If the Government can find a way to tax e-juice then apart from reducing the cost savings, electronic cigarettes are here to stay. The important point is that if e-liquid can’t be properly regulated and taxed then the devices will in all probability be banned to protect tobacco duty revenues. It seems unlikely that e-cigarettes and vaporizers will escape regulation. The success of the e-cigarette is the very thing that will force the government to introduce regulation and tax on e-liquid. It seems increasingly unlikely that electronic cigarettes will avoid all regulation because their growing popularity will keep eating into the governments tobacco revenues, forcing the treasury to introduce taxes on vaporizer devices to balance their books.